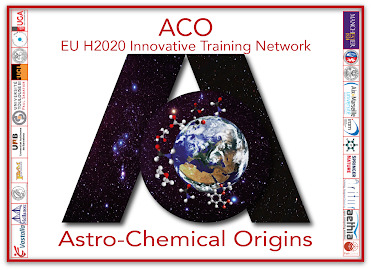 We have got two H2020-MSCA-ITN-2018 proposals funded by the European Commission: PIONEER "Plasma catalysis for CO2 recycling and green chemistry" and ACO "AstroChemical Origins". Dr. Luca Matteo Martini has been selected as Invited Lecturer of the 28th Symposium on the Plasma Physics and Technology in Prague, June 2018. Prof. Paolo Tosi is invited speaker at the 8th International Workshop on Plasma Spectroscopy (IPS 2018) to take place from 23 to 26 September 2018 at Worcester College, Oxford. http://ips2018.chem.ox.ac.uk. Prof. Paolo Tosi is invited speaker at the 8th International Workshop on Plasma Spectroscopy (IPS 2018), 23-26 September 2018, Worcester College, Oxford. http://ips2018.chem.ox.ac.uk. Prof Paolo Tosi is invited speaker at the 8th International Workshop on Plasma Spectroscopy (IPS 2018) to take place from 23 to 26 September 2018 at Worcester College, Oxford. http://ips2018.chem.ox.ac.uk. Dr Luca Matteo Martini has been selected as Invited Lecturer of the 28th Symposium on the Plasma Physics and Technology in Prague, June 2018. Prof Daniela Ascenzi has been invited to give a lecture at the international workshop "Advances in Space Mass Spectrometry for the Search of Extraterrestrial Signs of Life" to take place from 16 to 18 May 2018 in Orleans, France. 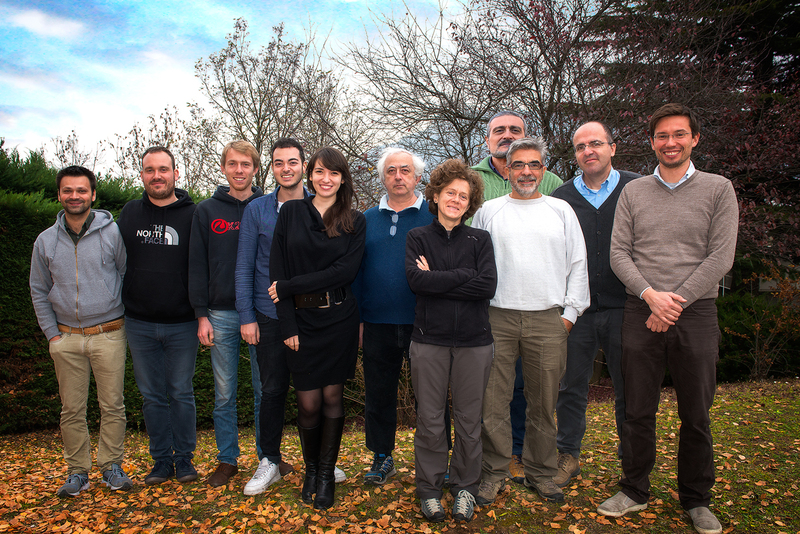 Prof. Daniela Ascenzi has been invited to give a lecture at the international workshop "Advances in Space Mass Spectrometry for the Search of Extraterrestrial Signs of Life" to take place from 16 to 18 May 2018 in Orleans, France. Prof Paolo Tosi has been invited to give the topical lecture CO2 conversion by nanosecond repetitively pulsed (NRP) discharges: process design, efficiency and experimental investigation of the kinetics at the 23rd International Symposium on Plasma Chemistry Montréal, Canada, July 30th to August 4th, 2017. Dr Luca Matteo Martini has been selected for the invited talk Laser-induced fluorescence in nanosecond discharges for CO2 conversion at the 44th EPS Conference on Plasma Physics, Belfast, Ireland, June 26- 30, 2017. Prof. Paolo Tosi has been invited to give the topical lecture CO2 conversion by nanosecond repetitively pulsed (NRP) discharges: process design, efficiency and experimental investigation of the kinetics at the 23rd International Symposium on Plasma Chemistry Montréal, Canada, July 30th to August 4th, 2017. Dr. Luca Matteo Martini has been selected for the invited talk Laser-induced fluorescence in nanosecond discharges for CO2 conversion at the 44th EPS Conference on Plasma Physics, Belfast, Ireland, June 26- 30, 2017. Dr Luca Matteo Martini has been selected for the topical lecture LIF measurements of OH in an ns pulsed discharge for CO2 conversion at the 12th Frontiers in Low-Temperature Plasma Diagnostics, Zlatibor, Serbia, 23-27 April 2017. Dr. Luca Matteo Martini has been selected for the topical lecture LIF measurements of OH in an ns pulsed discharge for CO2 conversion at the 12th Frontiers in Low-Temperature Plasma Diagnostics, Zlatibor, Serbia, 23-27 April 2017. Prof Daniela Ascenzi has been invited to give a lecture at the European Conference on Laboratory Astrophysics Madrid, Spain, 21-25 November 2016. 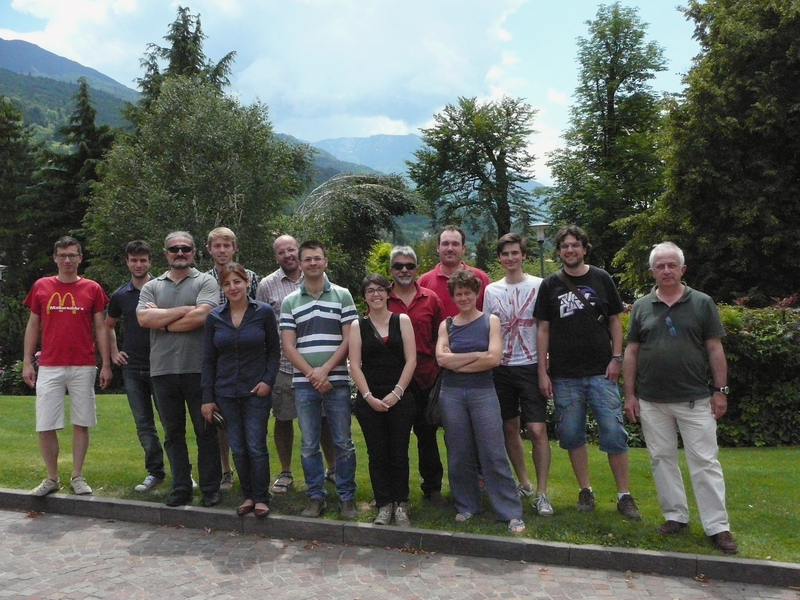 Prof Leonardo Ricci has been appointed Chairman of the Workshop Network Dynamics and Complexity Trento, May 20, 2016. Prof. Daniela Ascenzi has been invited to give a lecture at the European Conference on Laboratory Astrophysics Madrid, Spain, 21-25 November 2016. 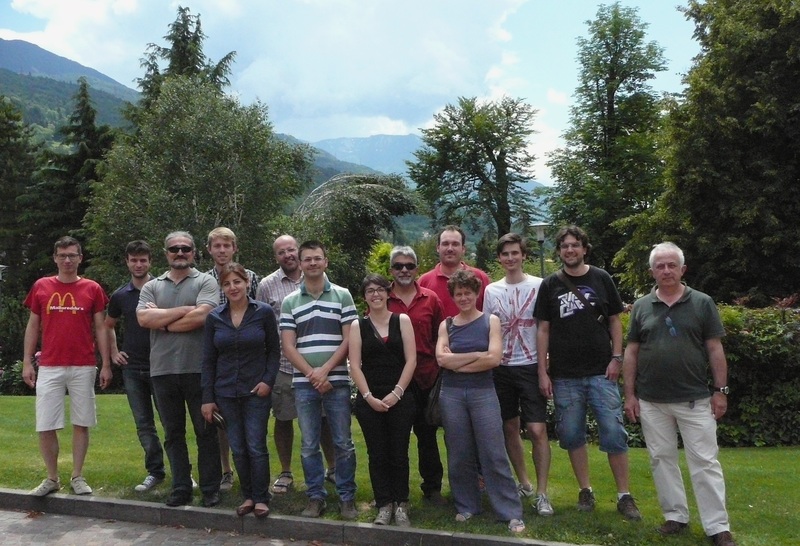 Prof. Leonardo Ricci has been appointed Chairman of the Workshop Network Dynamics and Complexity Trento, May 20, 2016. We have got two H2020-MSCA-ITN-2018 proposals funded by the European Commision: PIONEER "Plasma catalysis for CO2 recycling and green chemistry" and ACO "AstroChemical Origins". Horizon 2020. The proposal PIONEER "Plasma catalysis for CO2 recycling and green chemistry"
Dr Luca Matteo Martini has been selected for the topical lecture LIF measurements of OH in a ns pulsed discharge for CO2 conversion at the 12th Frontiers in Low Temperature Plasma Diagnostics, Zlatibor, Serbia, 23-27 April, 2017. Horizon 2020. 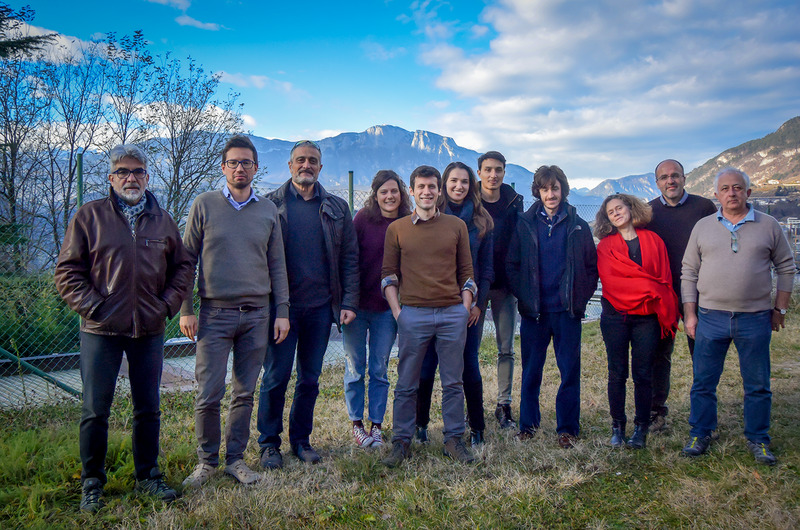 Our joint proposal PIONEER "Plasma catalysis for CO2 recycling and green chemistry" has been funded by the European Commission. Dr Luca Matteo Martini has been selected as Invited Lecturer of the 28th Symposium on the Plasma Physics and Technology in Prague, June, 2018. 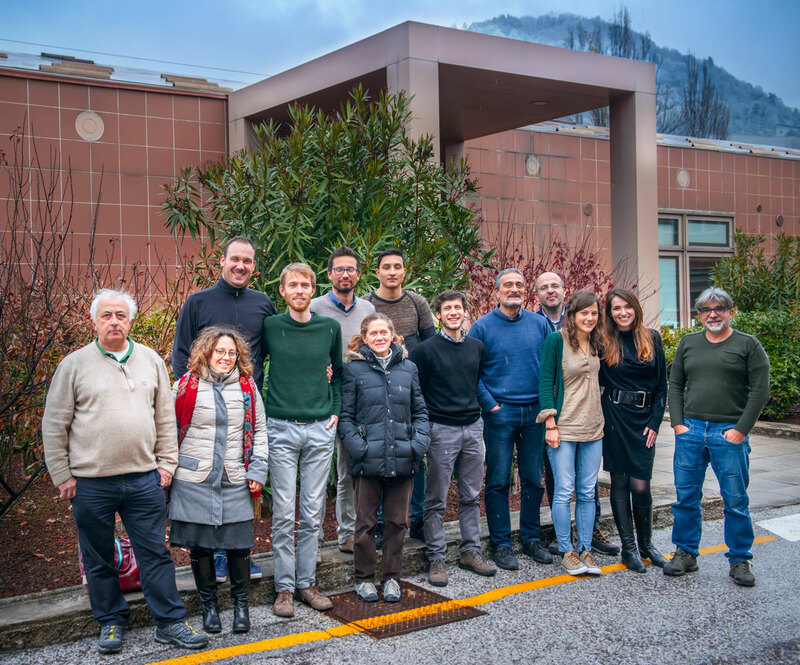 Horizon 2020 European Joint Doctorates, PIONEER "Plasma catalysis for CO2 recycling and green chemistry" has been funded by the European Commission. Prof Daniela Ascenzi is invited speaker at the "IInd Italian Workshop on Astrochemistry"
Prof Paolo Tosi is invited speaker at the 8th International Workshop on Plasma Spectroscopy (IPS 2018) to take place from 23 to 26 September 2018 at Worcester College, Oxford. Prof. Daniela Ascenzi has been invited to give a lecture at the Astrochemical Conference KIDA2017 Bordeaux, France, September 26th to 29th, 2017. Nicola Gatti has been selected for a topical lecture at the 12th Frontiers in Low-Temperature Plasma Diagnostics, Zlatibor, Serbia, 23-27 April, 2017. Nicola Gatti has been selected for the topical lecture Assessing the non-equilibrium: vibrational and rotational temperature profiles in N2 and N2–CO2 microwave plasma from laser Raman scattering at the 12th Frontiers in Low-Temperature Plasma Diagnostics, Zlatibor, Serbia, 23-27 April, 2017. Prof Leonardo Ricci has been appointed Chairman del Workshop Network Dynamics and Complexity Trento, May 20, 2016. Dr Luca Matteo Martini has been selected for the invited talk Laser induced fluorescence in nanosecond discharges for CO2 conversion at the 44th EPS Conference on Plasma Physics, Belfast, Ireland, June 26- 30, 2017. Nicola Gatti has been selected for a topical lecture at the 12th Frontiers in Low Temperature Plasma Diagnostics, Zlatibor, Serbia, 23-27 April, 2017. Prof Leonardo Ricci é Chairman del Workshop Network Dynamics and Complexity Trento, May 20, 2016. Andrea Cernuto has been selected for an oral contribution at the The Astronomical Week COST Action CM1401 Faro, Portugal, 16-20 January 2017. Andrea Cernuto has been selected for the oral contribution Dissociative charge transfer of interstellar dimethyl ether and methyl formate in collisions with He+ at the The Astronomical Week COST Action CM1401 Faro, Portugal, 16-20 January 2017. Prof Paolo Tosi has been invited to give a topical lecture at the 23rd International Symposium on Plasma Chemistry Montréal, Canada, July 30th to August 4th, 2017. Dr Luca Matteo Martini has been selected for an Invited talk (Laser induced fluorescence in nanosecond discharges for CO2 conversion) at the 44th EPS Conference on Plasma Physics, Belfast, Ireland, June 26- 30, 2017. Dr Luca Matteo Martini has been selected for a topical lecture (LIF measurements of OH in a ns pulsed discharge for CO2 conversion) at the 12th Frontiers in Low Temperature Plasma Diagnostics, Zlatibor, Serbia, 23-27 April, 2017. Dr Luca Matteo Martini has been selected for a topical lecture at the 12th Frontiers in Low Temperature Plasma Diagnostics, Zlatibor, Serbia, 23-27 April, 2017. Dr Luca Matteo Martini has been selected for an Invited talk at the 44th EPS Conference on Plasma Physics, Belfast, Ireland, June 26- 30, 2017. Nicola Gatt has been selected for a topical lecture at the 12th Frontiers in Low Temperature Plasma Diagnostics, Zlatibor, Serbia, 23-27 April, 2017. Dr Luca Matteo Martini has been selected for an Invited talk at the 44th EPS Conference on Plasma Physics, June 26- 30, 2017. Prof Daniela Ascenzi has been invited to give a lecture at the European Conference on Laboratory Astrophysics Madrid, Spain 21-25 November 2016. Prof Paolo Tosi has been invited to give a topical lecture at the 23rd International Symposium on Plasma Chemistry Montréal, Canada, from July 30th to August 4th, 2017. Welcome to Dr Sara Lovascio who has joined the group (January 2017). *Dr Luca Matteo Martini has been selected for an Invited talk at the 44th EPS Conference on Plasma Physics, June 26- 30, 2017. Andrea Cernuto has been selected for a talk at the 2nd General Meeting della COST Action CM1401 "Our Astrochemical History"
DrLuca Matteo Martini has been selected for an Invited talk at the 44th EPS Conference on Plasma Physics, June 26- 30, 2017. Dr Luca Matteo Martini Luca Matteo Martini has been selected for an Invited talk at the 44th EPS Conference on Plasma Physics, June 26- 30, 2017. Paolo Tosi has been invited to give a topical lecture at the  23rd International Symposium on Plasma Chemistry  Montréal, Canada, from July 30th to August 4th, 2017. Our principal experimental techniques are advanced electronics, optical spectroscopy, mass spectrometry and gas chromatography. As experimental scientists, we continuously pursue the improvement of our instrumentation and the development of special devices that are not commercially available. This continuous advancement leads to kwow-how that can be progressively transferred to industry. The Atomic and Molecular Physics Laboratory has a successful track record of co-operation with high-tech companies, and continues to endeavor for enhancing this technological outcome. Our most important experimental techniques are advanced electronics, optical spectroscopy, mass spectrometry and gas chromatography. 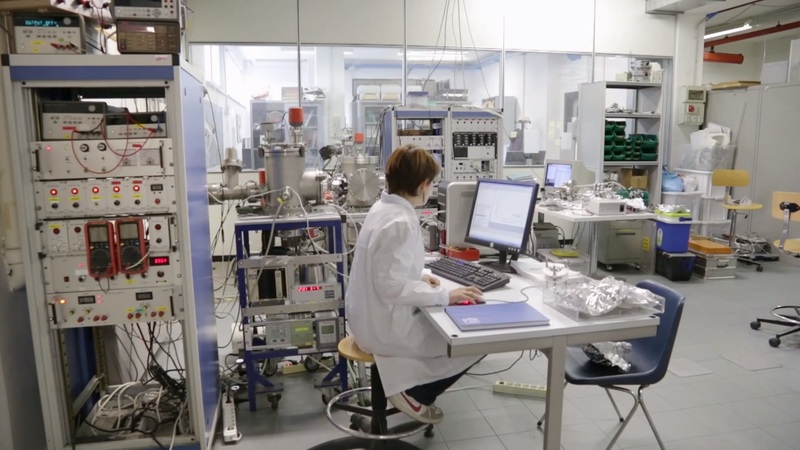 As experimental scientists, we continuously pursue the improvement of our instrumentation and the development of specialised devices that are not commercially available. This continuous advancement leads to know-how that can be progressively transferred to industry. The Atomic and Molecular Physics Laboratory has a successful track record of co-operation with high-tech companies and continues to endeavour for enhancing this technological outcome. Dr. Luca Matteo Martini has been selected for an Invited talk at the 44th EPS CONFERENCE ON PLASMA PHYSICS, June 26- 30, 2017. Prof. Paolo Tosi has been invited to give a topical lecture at the 23rd International Symposium on Plasma Chemistry Montréal, Canada, from July 30th to August 4th, 2017. As experimental scientists, we continuously pursue the improvement of our instrumentation and the development of special devices that are not commercially available. This continuous advancement leads to kwow-how that can be progressively transferred to industry. The Atomic and Molecular Physics Laboratory has a successful track record of co-operation with high-tech companies, and continues to endeavor for enhancing this technological fall-out. As experimental scientists, we continuously pursue the improvement of our instrumentation and the development of special devices that are not commercially available. This continuous advancement leads to kwow-how that can be progressively transferred to industry. The Atomic and Molecular Physics Laboratory already has a successful track record of co-operation with industry, and continues to endeavor for enhancing this technological fall-out. As experimental physicists , we continuously improve the quality of our instrumentation and develop special devices that are not commercially available. This continuous advancement leads to instrumental developments that may be progressively transferred to industry. The Atomic and Molecular Physics Laboratory already has a successful track record of co-operation with industry, and continues to endeavor for enhancing this technological fall-out. In order to achieve the sensitivity and stability which are necessary in our experiments, we continuously improve the quality of our instruments and develop special devices that are not commercially available. This continuous advancement leads to instrumental developments that may be progressively transferred to industry. The Atomic and Molecular Physics Laboratory already has a successful track record of co-operation with industry, and continues to endeavor for enhancing this technological fall-out. The Atomic and Molecular Physics Laboratory is devoted to the investigation of the dynamics of molecular and nonlinear systems. Our work finds direct application in fields such as molecular reaction dynamics,physics and chemistry of cold plasma, neural dynamics. The Atomic and Molecular Physics Laboratory is devoted to the investigation of the dynamics of molecular and nonlinear systems. Our work finds direct application in fields such as molecular reaction dynamics, physics and chemistry of cold plasma, neural dynamics. The Atomic and Molecular Physics Laboratory is devoted to the investigation of the dynamics of molecular and nonlinear systems. Our work finds direct application in fields such as experimental astrochemistry, molecular reaction dynamics, physics and chemistry of cold plasma, neural dynamics. Our principal experimental techniques are mass spectrometry, gas chromatography, optical spectroscopy, advanced electronics. Although our Laboratory is not aimed at the development of short-term industrial applications, some spin-offs from our work may be of interest for applied physics and chemistry. In order to achieve the sensitivity and stability which are necessary in our experiments, we continuously improve the quality of our instruments and develop special devices that are not commercially available. This continuous advancement leads to instrumental developments that may be progressively transferred to industry. The Atomic and Molecular Physics Laboratory already has a successful track record of co-operation with industry, and continues to endeavor for enhancing this technological fall-out. The Atomic and Molecular Physics Laboratory is devoted to the investigation of the dynamics of molecular and nonlinear systems. Our work finds direct application in fields such as experimental astrochemistry, molecular reaction dynamics, physics and chemistry of cold plasma, brain dynamics. The Atomic and Molecular Physics Laboratory is devoted to the investigation of the dynamics of molecular and nonlinear systems. From a more applied point of view, the work carried out in the Atomic and Molecular Physics Laboratory finds direct application in the modeling of "real" systems, such as the interstellar medium, planetary atmospheres, cold plasmas, and combustion systems. The main research lines concern experimental astrochemistry, physics and chemistry of cold atmospheric plasmas. Our principal experimental techniques are mass spectrometry, gas chromatography and optical spectroscopy. The Atomic and Molecular Physics Laboratory is devoted to the investigation of the dynamics of molecular systems in the gas-phase. From a more applied point of view, the work carried out in the Atomic and Molecular Physics Laboratory finds direct application in the modeling of "real" systems, such as the interstellar medium, planetary atmospheres, cold plasmas, and combustion systems. The main research lines concern experimental astrochemistry, physics and chemistry of cold atmospheric plasmas. The Atomic and Molecular Physics Laboratory is devoted to the investigation of the dynamics of molecular systems in the gas-phase. >From a more applied point of view, the work carried out in the Atomic and Molecular Physics Laboratory finds direct application in the modeling of "real" systems, such as the interstellar medium, planetary atmospheres, cold plasmas, and combustion systems. The main research lines concern experimental astrochemistry, physics and chemistry of cold atmospheric plasmas. The Atomic and Molecular Physics Laboratory is devoted to the investigation of the dynamics of atomic and molecular systems in the gas-phase. Our principal experimental techniques are those of supersonic neutral and guided ion beams, used in conjunction with both pulsed and continuous-wave lasers, cryogenic devices and mass spectrometers. More recently, we have extended our interests to the manipulation of ultracold atoms in magneto-optical traps. Following the definition of Bernstein and Levine "Molecular dynamics involves the study of the molecular mechanism of elementary physical and chemical processes. It is concerned with both intramolecular and chemical rate processes, and with the means of promoting or interrogating such collisions, say, by molecule-photon interactions". In an ideal experiment, the initial state of the interacting particles should be a known pure quantum state. Unfortunately, due to sensitivity constraints, this condition is extremely difficult to achieve, and real experiments provide information averaged over a - sometimes not well defined - distribution of states. Although our Laboratory is not aimed at the development of short-term industrial applications, some spin-offs from our work may be of interest for applied physics and chemistry. This is particularly true for the sophisticated laser and mass-spectrometric techniques used in our laboratories. In order to achieve the extreme sensitivity and stability which are necessary in our experiments, we continuously improve the quality of our instruments and develop special devices that are not commercially available. This continuous advancement leads to an accumulation of know-how that may be progressively transferred to industry. The Atomic and Molecular Physics Laboratory already has a successful track record of co-operation with industry, and continues to endeavour to enhance this technological fall-out. R.D. Levine and R.B. Bernstein, "Molecular reaction dynamics and chemical reactivity", Oxford University Press (New York) 1987.
of ultracold atoms in magneto-optical traps. the manipulation of ultracold atoms in magneto-optical traps. The Atomic and Molecular Physics Laboratory is devoted to the investigation of the dynamics of atomic and molecular systems in the gas-phase. Our principal experimental techniques are those of supersonic neutral and guided ion beams, used in conjunction with both pulsed and continuous-wave lasers, cryogenic devices and mass spectrometers. More recently, we have extended our interests to the manipulation of ultracold atoms in magneto-optical traps. Attach:tosi3.jpg ΔThe Atomic and Molecular Physics Laboratory is devoted to the investigation of the dynamics of atomic and molecular systems in the gas-phase. Our principal experimental techniques are those of supersonic neutral and guided ion beams, used in conjunction with both pulsed and continuous-wave lasers, cryogenic devices and mass spectrometers. More recently, we have extended our interests to the manipulation of ultracold atoms in magneto-optical traps.